Freiburg is the best bet on this weekend’s German Bundesliga card at an odds-against quote of 2.10 with Bet365 and Betway to beat bottom-of-the-ladder Braunschweig on its home turf. The match between Bayern Munchen and Dortmund will capture the bulk of the German Bundesliga headlines but it is the game between the 14th and 18th-placed teams that should interest punters above all others because Freiburg ought to be trading at odds on to get the better of Braunschweig. Perhaps bookmakers are flying in the face of odds-compiling convention because of Freiburg’s frankly disappointing home numbers of four wins, four draws and six losses from its 14 German Bundesliga matches in its own backyard. 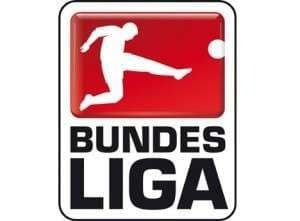 Freiburg is four points and four positions above Braunschweig on the German Bundesliga ladder and that entitles it to be no longer than 2.00 to collect three points on Saturday. But if bookmakers are taking into account Freiburg’s home form than are they doing likewise with Braunschweig’s away statistics because they are the second worst in the German Bundesliga. Only Hannover has a lower points-per-game score than Braunschweig’s 0.5 points derived from one win, four draws and nine losses. And do not ignore the fact that the reverse German Bundesliga fixture went the way of Freiburg, Gelson Fernandes scoring the only goal of the match. Freiburg has beaten Bremen and Nurnberg in its last two German Bundesliga home appearances, whereas Braunschweig has accrued only three points out of a possible 21 from its seven road games since the league resumed in January. One cannot help thinking that Monchengladbach is well over the odds at 1.95 with William Hill to win its German Bundesliga home match against struggling Stuttgart. The implosion of Leverkusen has helped Monchengladbach to climb up to the fourth rung of the German Bundesliga ladder and UEFA Champions League qualification is a possibility for Lucien Favre’s side. Even though Monchengladbach experienced a dodgy February in which its campaign almost blew up, its German Bundesliga home numbers are the third best in the competition thanks to 10 wins, two draws and three losses, including back-to-back humblings of Hamburg and Hertha. Stuttgart improved its chance of avoiding relegation from the German Bundesliga by beating Freiburg 2-0 at home last weekend but it needs to sort out its away performances if it is going to avoid dropping out of the division. Stuttgart is winless on the road in the German Bundesliga since November, earning just one point from its last seven away games and that was versus a Bremen team going through a rough patch. Monchengladbach beat Stuttgart 2-0 in the reverse German Bundesliga fixture five months ago so the head to head suggests that William Hill has got its odds wrong. Finally, the German Bundesliga match between Wolfsburg and Nurnberg is one that throws up a good bet on both sides to score at odds of 1.67 with Boylesports and Ladbrokes. Only one of Wolfsburg’s 29 German Bundesliga games has had fewer than two goals – that is a record that just Hoffenheim can equal – and both teams have found the back of the net in eight of Wolfsburg’s last nine divisional matches. Nurnberg is no slouch in the entertainment department, either. Only three of Nurnberg’s 29 German Bundesliga games have had fewer than two goals and both sides have rustled the onion bag in three of its last five divisional matches. Wolfsburg and Nurnberg played out a 1-1 German Bundesliga draw when the two teams met in Bavaria five months ago so there is head-to-head data to support the suggested play plus, with five rounds remaining, the game means a lot to both sides. Wolfsburg is sixth but only one point behind Monchengladbach in fourth and Nurnberg is 17th, one point behind 15th-placed Stuttgart that is outside the drop zone.